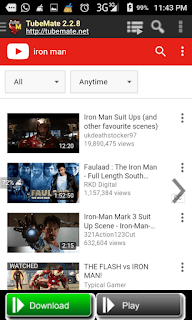 The Official YouTube app is easy to use and has some useful features. But, it doesn’t allow you to download and save the videos on your Android device permanently. Downloading YouTube videos on your Android device is a pretty useful and cool thing to do. Method 1: In the first method we are going to use “Online YouTube Downloader Websites”. 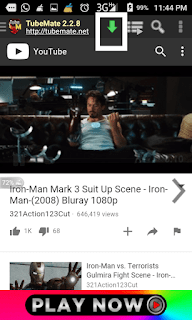 These sites let you download videos from other popular sites in just a few clicks. 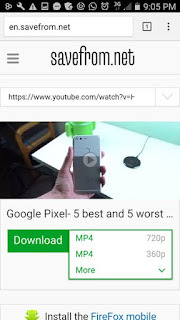 In this method you have to open your any browser on your phone and go to m.youtube.com, now browser thought the videos and open any video which you will like to download. Next, you have to copy the video address and go to savefrom.net or keepvid.com and paste the URL there. Finally, click on the download button and you will see the various video resolution to choose from. This method works all the time. 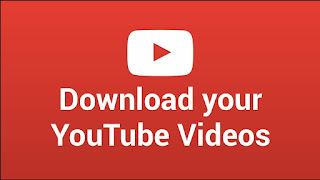 However, you can only download youtube videos in 720p resolution using this method. If you want to download in higher resolution check the second method below. If you want to download youtube Videos on Android in full HD (1080p), then you should try apps like TubeMate or Snaptube. 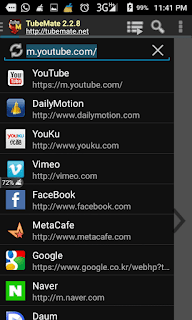 These apps let you download videos from many popular sites like youtube, facebook, etc. After installing open the app and browse through the site to find any interesting video, once you find one you can start playing it and you will see an option to download that video on your phone. You can choose the video resolution. 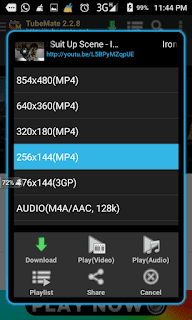 You can also see the file size for various video resolutions from the app itself. Step 1. 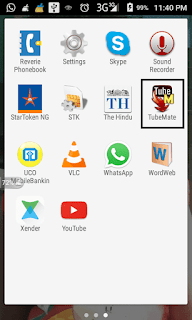 Download and install TubeMate Video Downloader. Step 2. Open the App and click on menu tab, located on the upper left corner. Step 3. Enter the URL address or else it’ll recommend you few websites from where you want to download videos. Add YouTube URL address. Step 4. Now Browse the video you want to download and play it for a while make sure to skip the video ad that usually comes in the beginning. Step 5. Now Tap over the green color download icon. Wait for the list of video quality options to appear, then select the video quality in which you want to download YouTube videos. That’s all your download will start automatically. Hope you’ve not disabled your background data otherwise it won’t work.